These are delicious and very easy to make. Making the mix takes no time at all. 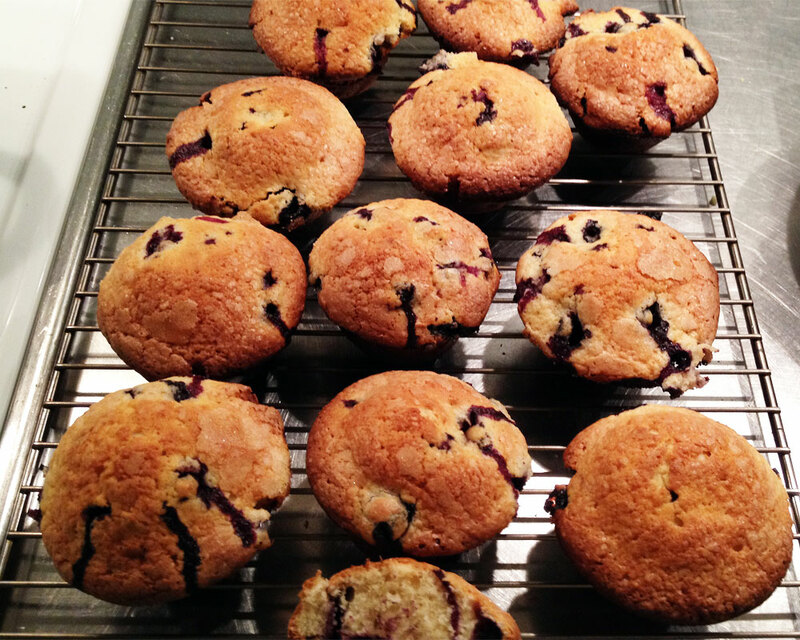 You can substitute raspberries for the blueberries or mix them both. These are delicious and so easy to make. Making the mix takes no time at all. You can substitute raspberries for the blueberries or mix them both. Almost all the soft berries will work in this basic recipe. 250 grams blueberries or raspberries washed and dried. 85 grams butter at room temperature. 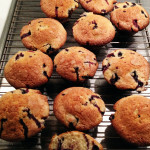 Preheat the oven to 180 C. Line a 12 muffin tin with paper muffin cups. This make life so much easier when it time to clean up. Cream the butter and sugar until light, about 5 minutes. Add the vanilla. Beat the eggs into the sugar and butter, then add one third the flour alternating with one third of the milk, until it all combined. Be sure not to over mix it. Stir just until everything is combined. Then fold in the berries. The mixture will be quite thick, so using 2 spoons fill each of the cups 2/3's up. Tap the trays firmly on the counter to remove any air bubbles and bake in the middle of the oven for 30 - 35 minutes. Start checking at 30 minutes. The only thing that is important is that when mixing the liquids into the dry ingredients is that you don't over work the batter. Mix until everything is just incorporated.